Dress Codes, Small Weddings, Bridesmaid Gifts, and More! 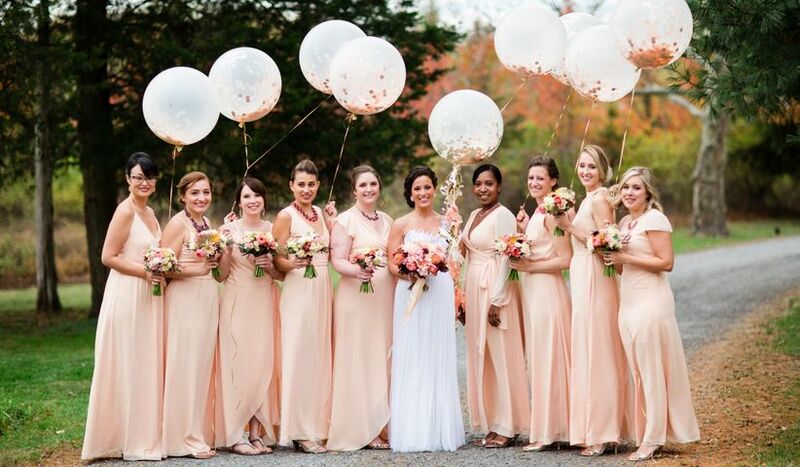 You Asked, We Answered: Dress Codes, Small Weddings, Bridesmaid Gifts, and More! 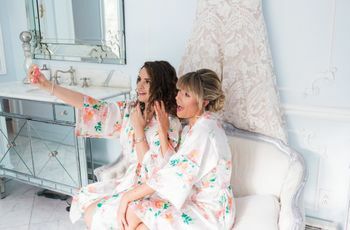 Our users shared their top wedding etiquette questions, and we provided answers on such topics as wedding dress codes, bridesmaid gifts, and more! Jan87: Hi there! I have extended family who lives in New York (I live in Toronto). I am having a small wedding and can't invite all my aunts, uncles, cousins and their spouses to the wedding. Should I tell them they aren't invited and state why and apologize or should I leave it alone and wait till they ask me about it? Thanks! I always vote for being upfront with people - I think they will appreciate hearing from you directly. I think it’s best that you call them before the save-the-dates or invitations go out, and be honest. You can say that as much as you’d love to invite all of your extended family members and friends, due to budget/space reasons, you unfortunately can’t accommodate everyone. You wanted to let them know as soon as possible so that there weren’t any surprises. If you’d like, you can also suggest that you all get together the next time they’re/you’re in town and do something fun together to celebrate. It’s natural for those not invited to be a bit upset, but hopefully they will take it in stride and be understanding. MissMadeline asks: What really makes a black tie wedding, and is it acceptable to dictate dress code (other than black tie) on the invitations? If a wedding invitation simply says “black tie” it typically means that the wedding will take place in the evening, and that men should wear tuxedos with women in long evening gowns or short cocktail dresses. “Black tie optional” is a bit more flexible, and allows men to wear either a tux or a dark suit and tie. 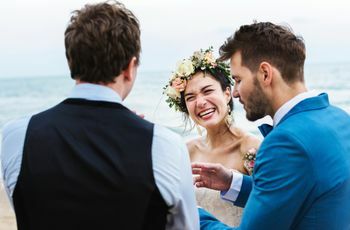 In terms of dictating dress code, it’s perfectly acceptable to do so as long as the dress code is relatively clear and your guests will be able to follow it without too much hassle. So “Beach Casual” or “Cocktail Attire” is fine, but avoid going too out-there, like “Lord of the Rings-Inspired Attire Required” might annoy and/or confuse your guests. And you don’t want everyone calling you to ask “What should I wear?” so keep it simple! 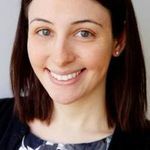 OregonEmily: It's recently come up on the forums and got me curious; What's the etiquette on allowing guests to take home table decor? Is it expected? Is it considered rude for a bride to keep them or sell them after the wedding rather than giving them away to guests? And how do you determine who goes home with the goodies? Do the guests just have to duke it out themselves? I feel like it could cause tension if more guests are wanting to take home decor, than there is decor available. Guests should not take home table decor unless they are explicitly told by the couple (or a representative, like the DJ/bandleader or wedding party member) to do so. If the couple would like to keep or sell the centerpieces, that is entirely their decision. If the couple would like to give away their decor, there are several ways to do this in a fun and entertaining way. We’ve seen I Spy games at each place setting (whoever finds the most “items” throughout the wedding wins the centerpiece at their table), and the DJ/bandleader announcing that whoever’s birthday is next at each table wins that table’s centerpiece. Another idea we love: Donate the centerpieces to a local hospital or hospice to pay it forward. TooManyMistys asks: Should you count things you bought (dress, jewelry, etc) for your bridesmaid to wear in your wedding as a gift to her for being your bridesmaid? 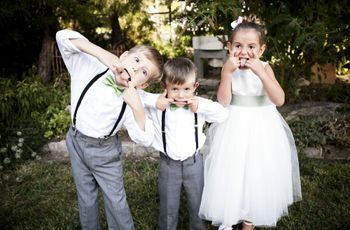 Etiquette Kids and Weddings: Etiquette Questions, Answered! Check out these most-asked questions, and how to handle them.